Tart Cherries and Cultivated Blueberries – Grown on our farms! ROYAL RIDGE FRUITS grows and processes the classic Montmorency Tart Cherry. They are harvested at their peak for a firm and juicy texture, deliciously tart and slightly sweet flavor; and classic red skins. 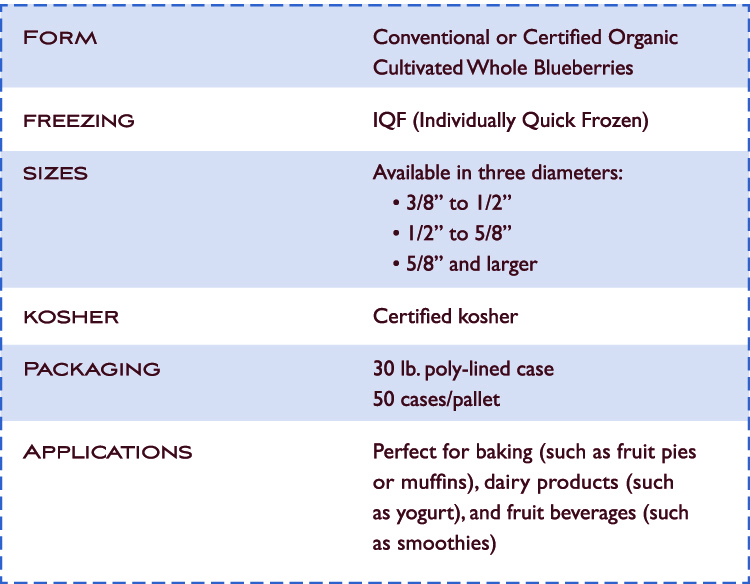 Royal Ridge’s individually Quick Frozen (IQF) tart cherries are perfect for manufacturers producing frozen or shelf stable fruit pies and muffins, dairy products (such as yogurt), fruit smoothies and other foods and beverages that burst with fruit flavor! Plus, the company’s tart cherries are also available as 5+1 and 9+1 ratios of Frozen Cherries topped with Pure Cane Sugar. ROYAL RIDGE FRUITS uses the finest cultivated blueberries, picked at their peak for a firm and juicy texture, deliciously sweet flavor; and classic dark purple skins. 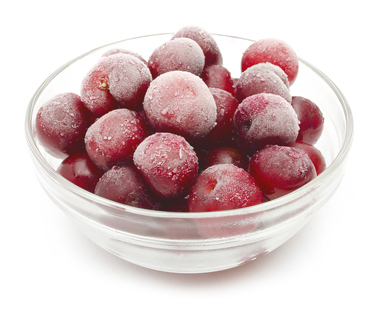 Royal Ridge’s individually Quick Frozen (IQF) tart cherries are perfect for manufacturers producing frozen or shelf stable fruit pies and muffins, dairy products (such as yogurt), fruit smoothies and other foods and beverages that burst with fruit flavor! Royal Ridge Fruits processes fruit in their 200,000 square foot facility near the cherry orchards of their sister company, Dorsing Farms, in the Columbia Basin of Central Washington State. The company has state-of-the-art equipment, including new optical color and laser sorters, custom-designed pitting and processing lines, high-speed packaging lines, and on-site freezing and frozen storage. The company’s R&D and Production teams are able to fine-tune products to meet specific customer needs. Royal Ridge ensures quality in all of their frozen fruit from the earliest stage in the production cycle-growing and sourcing premium fruit-through every stage of fruit processing and distribution. All blueberries are sourced from Dorsing Farms or from a select group of trusted U.S. or Canadian growers.